Flower crown: Who are you? Mermaid crown: I'm you, but stronger. Honesty hour: Show of hands if you're sick and tired of that old flower crown trend?! Well, same here! (No disrespect to Lana, obvz.) Thankfully, the creative geniuses of the world have come through in the clutch with a brand new trend worthy of any and every festival in the world. Behold, the Mermaid Crown - the IRL snapchat filter you've all been waiting for. 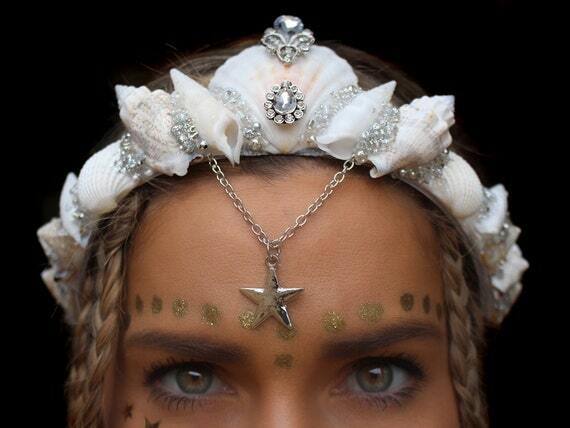 Instead of flowers, Mermaid Crowns are made of shells, glitter, crystals, chains and charms and they're *obviously* considerably heavier than their floral counterparts. 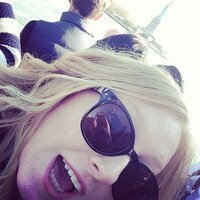 The Australian king pin of the trend, Chelsea Sheils who runs an Etsy shop that can only be described as Ariel's Secret Grotto, now has over 122k followers on Instagram. Her glorious crowns are all handmade - but they sell out faster than you can say 'Prince Eric Is BAE'. She's not the only one that's been making them, though. The trend is picking up traction on Instagram, with many homemade ones making a splash. They can be elaborate and regal. Or they can be simple and chic. Even the "Stars Are Blind" Pop Powerhouse Paris Hilton is on board with the trend. Seriously, 10/10 - would sell my voice for this crown. Want one for yourself? You can do a little spot of DIY, or you can splash the cash in Chelsea's Etsy store and treat yourself to some mermaid chic. *puts on crown and starts singing* I want to be where the people aren't.